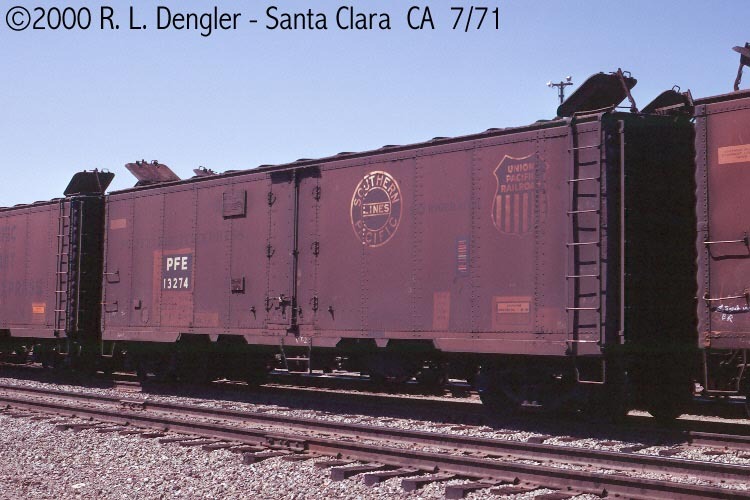 These 40' steel refrigerator cars were all built to the same basic design by SP Equipment Company in 1949-50 and featured XXXX ft3 capacity, diagonal panel rooves, taller bar+3/3 Improved Dreadnaught ends and 4'-0" doors. 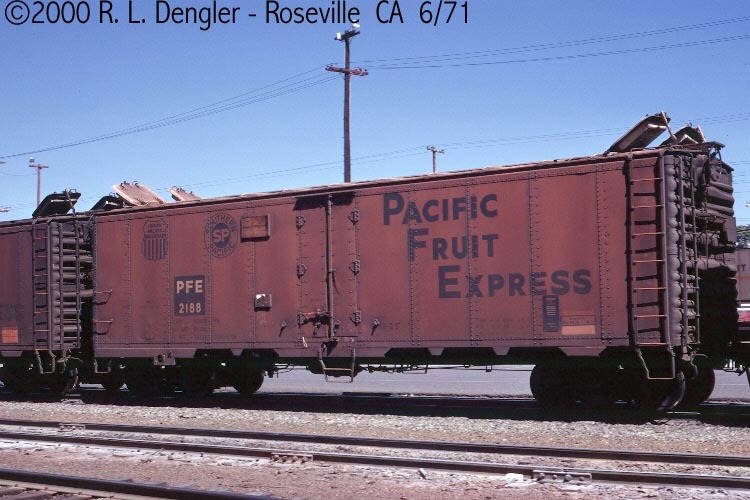 A group of 25 cars had meat reail added and were renumbered PFE 82001-82025 in 1963. Another group of 575 cars were renumbered into the PFE 12001-15000 series in 1965-67. Another group of 90 cars were renumbered into the PFE 60001-60999 series in 1970. 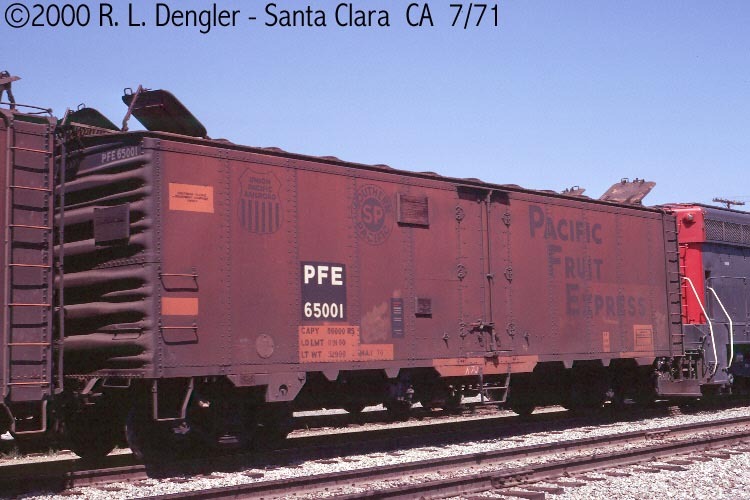 Another group of 90 cars were renumbered PFE 65001-65999 in 1970. Modeling note: Intermountain made a custom kit of the R-40-25 class for the Amorillo Club.